If you’re anything like us, any getaway must (must!) involve delicious food and drink alongside a decent dose of culture. Luckily, there’s no need to jet off to the other side of the globe or fork out zillions of dollars to have your perfect holiday. Introducing the holiday you didn’t know you needed: Wellington. 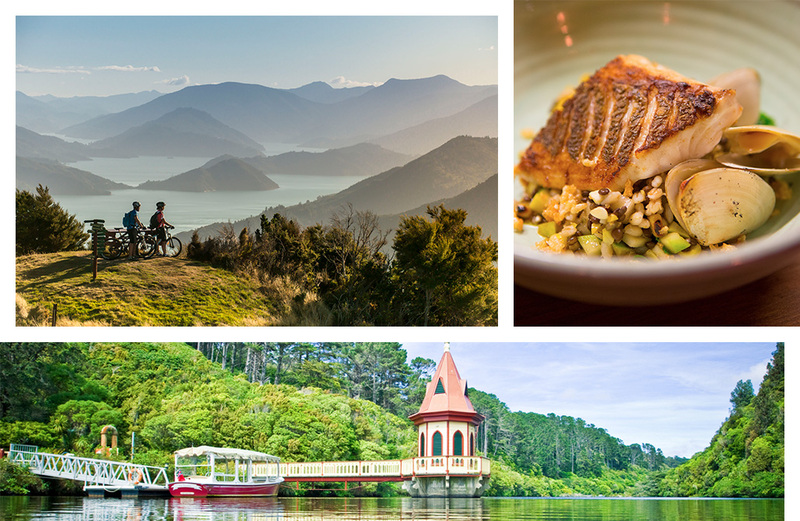 Just a stone’s throw from Australia (less than four hours FYI), New Zealand’s capital city is a cultural hub of all things mouthwatering, arty and nature-filled. Perfect for a weekend adventure, Wellington NZ helped us round up all the best things to see, do and—most importantly—taste in the unique city. Take notes because there’s a whooole lot of cool on offer. Sitting pretty in two colourful and cosy historic cottages, Havana Bar serves up Cuban deliciousness. Devour mouthwatering tapas washed down with exotic cocktails jam-packed with hot and spicy notes. Bop along to eclectic music as you soak up the afternoon sun in the sun-drenched courtyard. New Zealand has no shortage of rolling farmlands and stunning coastlines. It’s no wonder the tiny (but mighty!) country has some of the world’s best produce, seafood and meat. Shepherd celebrates this in divine style serving freshly shucked oysters, skiitake-glazed eel, smoked venison tataki and everything in between. Want a first-hand experience of New Zealand’s wine scene? Look no further than Noble Rot. The wine bar matches handpicked wines with delish seasonal fare. Set in a historic building off trendy Cuba Street, this is a haven for wine lovers (aka you and I both) as well as craft beer enthusiasts. Let’s be honest, no visit to Wellington is complete without visiting the iconic Fidel’s Cafe. Serving early morning espressos to late night rums, the institution has your back (and your stomach) morning, noon and night. Wash your beer-battered fish tacos down with an unmissable Snickers thick shake and you’ll be away laughing. When it comes to coffee culture, Wellington gives Melbourne a run for its money. Determine where your loyalties lie at Flight Coffee Hangar. This roastery-slash-café brews ethically sourced beans in expert style. Find your fave blend with a coffee tasting paddle. If you love all things Asian fusion (you do), make a beeline for award-winning restaurant Dragonfly. Treat your taste buds to everything from dumplings and bao to noodles and curry at this modern restaurant. Arrive hungry because you’ll be tempted to order one of everything. Time on your side? Journey to Marlborough Sounds at the top of the South Island (25 minutes by air or three hours by ferry). The region is known for its wine, great restaurants, wine, stunning landscapes and did we mention the wine? Marlborough is home to more than 100 wineries producing 75 per cent of New Zealand’s total wine. We hope you’re thirsty. Get up close and personal with New Zealand’s native wildlife at Zealandia. The world’s first fully-fenced urban eco-sanctuary is just a hop, step and a jump from the inner-CBD. Wander the valley’s forest and keep your eyes peeled for native birds and reptile species. Arguably the country’s best museum, Te Papa tells local stories through innovative and interactive exhibitions. Check out Gallipoli: The Scale Of Our War, a powerful display featuring life-like models made by Weta Workshop (the folk behind The Lord of the Rings’ effects). We’re also excited about the opening of Toi Art—Te Papa’s new art gallery opening mid-March. 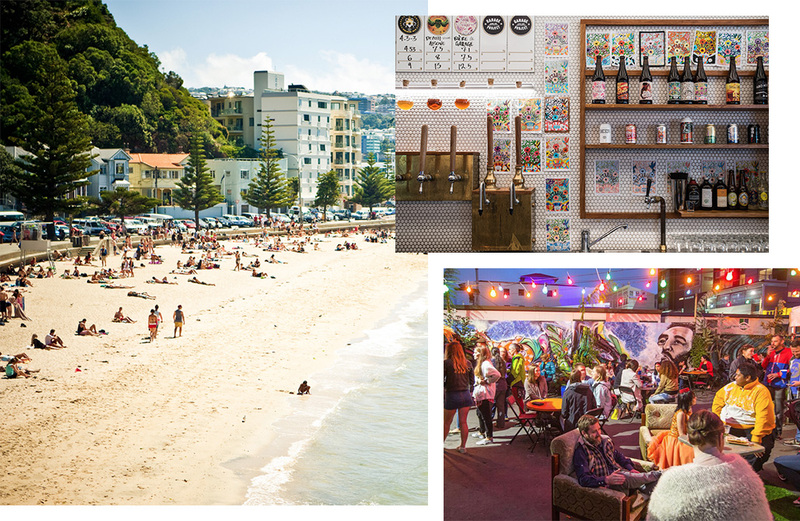 Whatever time of year you visit, chances are it will overlap with one of Wellington’s epic festivals. Our top picks? New Zealand Festival’s celebration of art and culture (February/March), CupaDupa’s vibrant street festival (March) and World of WearableArt’s next-level fashion (September/October). Explore Ghuznee Street’s boutique shops and give your wardrobe a well-deserved refresh. Visit Caughley for hand-picked gems from around the world, ENA for the freshest designs and Precinct 35 for delightful homewares. You’ll also be tempted to #treatyourself to a bag from much-loved New Zealand designer, Deadly Ponies. Want to take a taste (literally) of Wellington home with you? Stock up on irresistibly delicious treats at Hannahs Laneway. Claiming to be “the coolest little street in the coolest little capital in the world”, you’ll find the likes of chocolate peanut butter from Fix & Fogg and salted brittle caramel from Wellington Chocolate Factory. If your visit coincides with a Sunday, grab brunch from Harbourside Market. Located on the waterfront, the city’s longest-running market showcases fresh fruit and veg alongside food trucks and artisan goodies. The crêpes are always a crowd-favourite—and for good reason too! Like your hotel with a side of sass? QT Museum has your name written all over it. Showcasing New Zealand’s largest privately owned art collection, the quirky hotel seemingly doubles as a contemporary art gallery. Get your Instagram at the ready. New kid on the block, Sofitel, will magically transport you to Europe with its French-inspired elegance. With glamourous rooms fit for a king, you’ll be tempted to spend your stay in your hotel room. Emerge from your slumber and check out the on-site restaurant, Jardin Grill. Overlooking the harbour from Oriental Bay, Ohtel is a boutique hotel with mid-century style. Each room is individually furnished with no two rooms the same. Stroll along the waterfront to the city (coffee and/or ice-cream in hand, obvs) as you take marvel at the trendy suburb’s neighbouring houses. To keep planning your epic cultural getaway, click here. Editor’s note: This article is proudly sponsored by Wellington NZ and endorsed by The Urban List. Thank you for supporting the sponsors who make The Urban List possible. Click here for more information on our editorial policy.